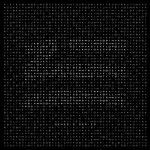 This is probably the best post-'Faded' track from ZHU so far. Great to see Bone Thugs N Harmony featured as well. ▒ Leuke, grappige samenwerking uit begin oktober 2015 van: "Zhu, Bone Thugs-N-Harmony & Trombone Shorty" !!! Exact 4 sterren ☺!! !